Digital transformation is now seen as a defining factor of success in the business world, to the point where most organisations realise they must invest in the latest technologies to remain relevant. Research supports the view that digital transformation has become a necessity for modern business; in a 2017 SAP-Oxford Economics study of 3,000 executives across 17 regions, 84 percent of business leaders said that digital transformation would be critical to their survival over the next five years. Yet as companies invest in these emerging digital technologies, there’s a growing need for professionals who can make sense of it all, and this is where the widely-cited IT skills gap can hold companies back from truly growing their business. In a wide-ranging, cross-sector Capgemini study of 1,250 people – including employees, leadership teams, HR and talent executives and recruiters -- more than half (54 percent) of organisations agreed that the digital talent gap was hampering their transformation programs and that their organisation had lost competitive advantage as a result. This is a particular concern in the United States, where an estimated 70 percent of organisations believe that the digital talent gap is widening. The combined effect of this burgeoning digital marketplace and widening skills gap has led companies to look for new ways of accelerating innovation – and this is where technology ‘clusters’ have started to play an important role. These regional hubs allow businesses to tap into highly-specialised talent pools and additional research and development sources. By doing this, organisations establish a base from which they can better serve customers, launch new services and even potentially drive new revenues. The United Kingdom may be a relatively small country when compared to the United States, but its technology industry certainly packs a punch. In 2015 alone, the UK technology industry grew by 50 percent and, as of today, it employs in the region of 1.6 million people. Much of this growth, however, is being driven by these smaller, local ‘clusters’ right across the country. London remains the largest centre of business, however, cities and regions such as Manchester, Oxford, Bristol, Birmingham, Edinburgh and South Wales have begun to emerge as leading technology hotspots. These pockets of innovation are often described as technology clusters, as they host bustling communities of entrepreneurs, start-ups, investors, creatives and universities. To date, it is said that there are some 52 technology clusters spread out all over the UK, with Manchester and London leading the way. Investment figures reflect this boom; Research from TechCity reveals that the UK saw more than £4.5 billion in digital tech investment in 2016, with 68 percent of this activity being directed to regional clusters outside of London. This investment is in turn driving the jobs market. TechCity says that there are now 1.64 million digital technology jobs in the UK, showing that the digital sector is creating jobs twice as fast as more traditional sectors. To continue to drive investment and growth in these local areas, technology clusters must adapt and offer the appropriate infrastructure and support mechanisms. The UK Government is acutely aware of this and is working with regions across the UK to implement comprehensive support systems for business expansion. The Welsh Government for example, runs several schemes to encourage global firms to launch operations in Wales. They have also established a development bank, which provides flexible finance from £1,000 ($1,423) up to £5 million ($7 million), and is home to firms such as Confused.com, Alert Logic and Dezrez. Digital Oxford, meanwhile, supports its local start-ups by offering 30 monthly meetups, three huge technology conferences and access to two of the UK’s most esteemed universities. It is also home to Didcot’s Harwell Science & Innovation Campus, a state-of-the-art facility which houses over 200 organisations and companies, employing more than 6,000 people from 60 countries. This innovation and support also extends to local universities. The University of Cambridge is a notable example, with a world leading technology department that covers areas such as computer science, engineering and bioengineering. Another less well-known example is Cardiff University, which in 2015 launched the National Software Academy. It works with local and global technology firms to offer students more hands-on courses based on real-life scenarios. These are leading examples of how regional bases can drive innovation – but the more centralised UK Government has an important role to play here too. When it comes to setting up a technology operation in the UK, companies can benefit from extensive government support. The UK Government offers low-base corporation tax and provides financial incentives for research and development. Since 2010, the UK Government has helped to increase the number of tech enterprises operating in the UK by nearly 31 percent, and there are now 40 recognised enterprise zones across England, Scotland, Wales and Northern Ireland. There are also programmes such as TechCityUK’s Future Fifty, which supports so-called ‘scale-ups’. The UK is also often one-step-ahead when it comes to emerging technologies. 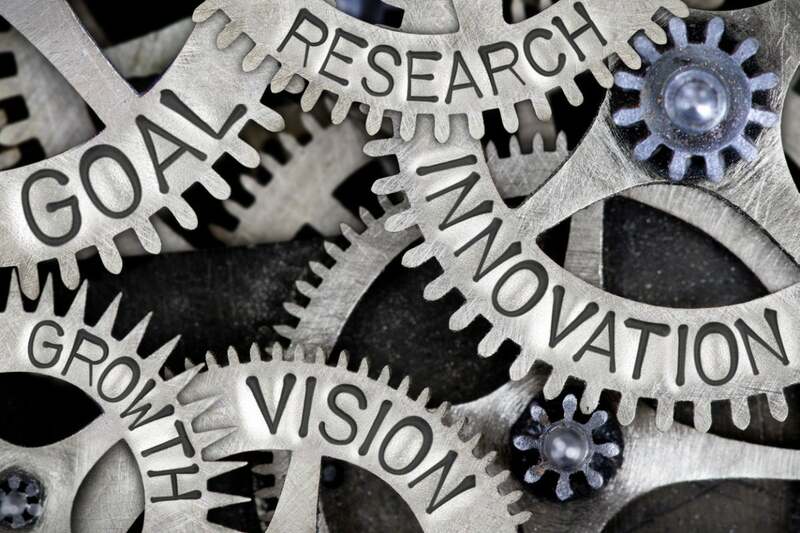 One area where they are leading the way is the British research councils’ investment of more than £300 million into big data and analytics projects. The Government has also recently launched its Industrial Strategy which aims to “create conditions where successful businesses can emerge and grow”. Then there’s the announcement of new regulations to enable the testing of connected and autonomous vehicles on British roads. These initiatives highlight that the UK has emerged as one of the world’s most forward-thinking technology hubs, offering the opportunity, resource and support required to develop, build and scale businesses in this digital age. If you would like to find out more on how the UK can facilitate business growth and innovation, click here to visit the UK’s Department for International Trade website.